Merchant cash advance syndications offer significant opportunities for investors and entrepreneurs alike, but confusion about how syndication works keeps many people who could benefit from taking part. If you are looking for capital for your business or considering investing in a merchant cash advance deal in New York, New York , here is what you need to know about how syndications work and how they can benefit you. The easiest way to understand syndicates is to see them as a form of crowdfunding. Unlike crowdfunding that occurs through online platforms to fund various art projects, inventions, and even charity appeals, merchant cash advance syndications are funded by business investors who provide a loan to another business. Every individual lender in a syndication deal is referred to as a syndicate, and each syndicate contributes a specific amount of money to the loan and recoups repayment and interest based on the percentage of his or her contribution. Unlike crowdfunding platforms, syndicates who take part in a deal are not strangers, and each participant generally has an independent relationship with the company that brokers the merchant cash advance deal. Like a crowdfunding platform that collects payments and acts as a go-between between the investors and the personal seeking funds, syndication deals usually have a single company brokering the deal and acting as representative of the enter group, not matter how many individual syndicates are involved. This setup simplifies the transaction for everyone involved. Merchant cash advance syndication allows investors and business owners conduct transactions that are beneficial to both parties outside of the traditional banking structure. For syndications, merchant cash advance deals offer reliable opportunities for returns with the flexibility to make loans of any size, including those that are typically too small for other types of lenders. For business owners, these deals are a chance to access working capital quickly, without credit checks and the lengthy process required by banks. 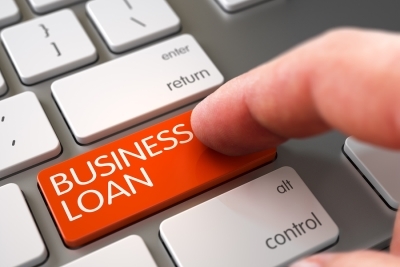 For entrepreneurs, this kind of lending can be especially helpful in getting fast funding for growth even when they aren’t in the position to get a traditional bank loan.